A little more than a month after Apple held the Cupertino iPhone event, the tech giant hosted its iPad-centric event in San Francisco on Tuesday. The company had introduced the thinner, lighter iPad Air, the iPad Mini with Retina display, Mavericks, the brand new operating system and their new Mac Pro desktop PC. The presentation was opened by CEO Tim Cook, introducing several updates to its other software. Let’s take a look at some of the revelations made by the leading company. 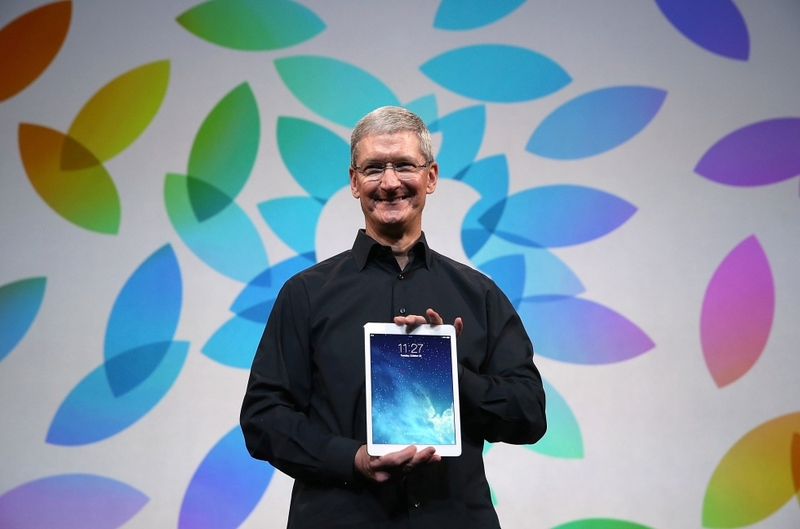 Apple has revealed a top of the range tablet called the iPad Air, which is 20% thinner than the previous version. The company also managed to reduce the weight of the device, with the tablet weighing just 1 pound, making it the lightest, full size tablet currently available. The new name of the tablet is reflected in the multitude of hardware changes that the tablet had made. It will also be powered by the same A7 chip that is used in the iPhone 5S. Ever since its launch last year, the iPad mini has been a sweeping success. But this popular tablet had one glaring omission; a Retina display. That changed at Apple’s San Francisco event on Tuesday with the introduction of the brand new, high-resolution version of the 7.9-inch tablet. The company said the iPad mini will come with a Retina display and will roll out in November. There was no exact date was given, but the device will sell for $399, up from the original iPad minis price tag of $329. Apple was expected to release the latest version operating system of Mac sometime this week, with a charge of about $20 for it. But Apple stated that the OS won’t cost a thing and would be released on Tuesday. According to the company, Mavericks OS X adds a number of new features, including iBooks apps, new Maps and an improved battery life and speed of the Mac it is installed on. Apple also announced that the new Mac Pro will be out at a starting price of $2,999 with a 256GB SSD, dual FirePro D300s, 3.7GHz quad-core Xeon, and a 12GB RAM. This computer packs an incredible amount of power into one-eighth the volume of the previous model. There was no specific release date for the Mac Pro, which will be assembled in the U.S. The only thing Apple said is that the Mac Pro will be available before the end of 2013. With the launch of the new model of the iPad mini, Apple will continue to sell the previous edition of the iPad mini and at a lower price. The tech company said that this non-Retina iPad mini will be available for $299 with 16 GB of storage. There were also some announcements on the release of some apps. The iMovie app is much more focused on editing and got a redesign on iOS. It also has a new feature called iMovie Theater, which lets you store trailers and movies in one place, backed up by iCloud. The company also put its focus on the new GarageBand for iOS 7 as well, with a new feature like Drummer to choose from. The iWork app now has full file compatibility, which means you can open files across various devices and on the web. Numbers, Keynote and Pages have new features like context-sensitive formats and animations. Each of these apps will be free for those who purchase a new Mac, with updates available from today.